No Deadbeat Society just loaned a Nigerian Farmer enough money to upgrade his farm so that he can bring in more profit to support himself and his family. Sadiau, a Babban Gona maize farmer, is married and lives in a modest mud house with his family in Kinkiba village. Sadiau is a meticulous farmer who has invested time and resources in his farm, and like every parent, hopes to see his six children work twice as hard and become successful in the future. Owing to his inner zeal and enthusiasm, Sadiau is able to ensure that his family eats three square meals a day. In order for Sadiau to keep improving his yield, and as a result feed his family, he needs access to high-quality inputs, such as fertilizers, herbicides and better-yielding seeds. 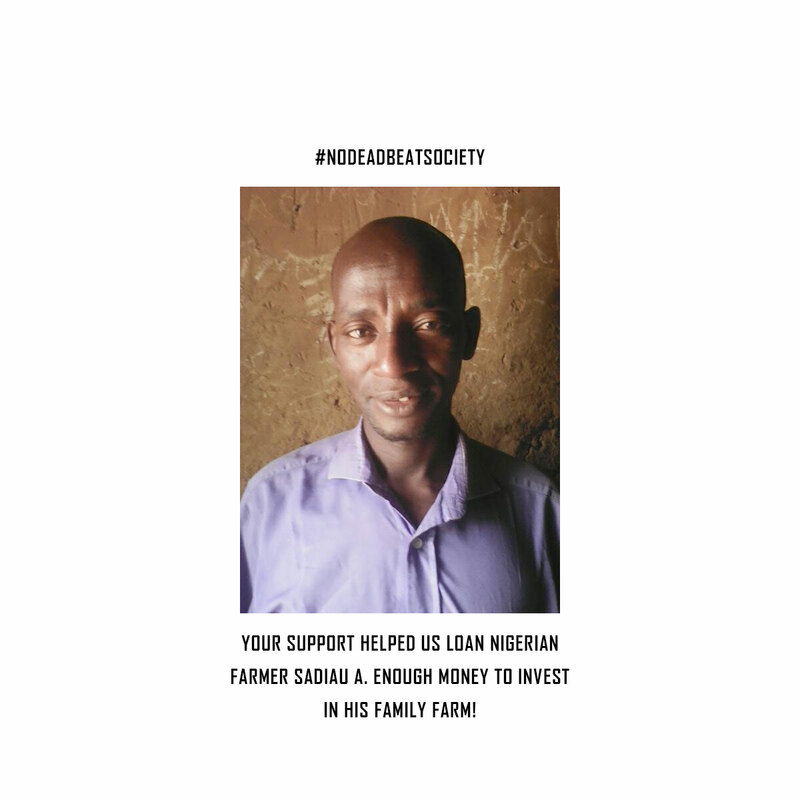 Luckily, as a Babban Gona member, Sadiau will be provided with a full suite of the best inputs to optimize his farm and increase his yield up to 3.8 metric tonnes per hectare, two times the national average. With increased yield and income of up to 2.8 times the national average, Sadiau looks forward to using his additional income to pay his children’s school fees. Sadiau is a happy Babban Gona farmer and holds when he had a good harvest as his best memory as a Babban Gona member. Sadiau looks forward to a brighter future with Babban Gona as he too has joined the fight against poverty.